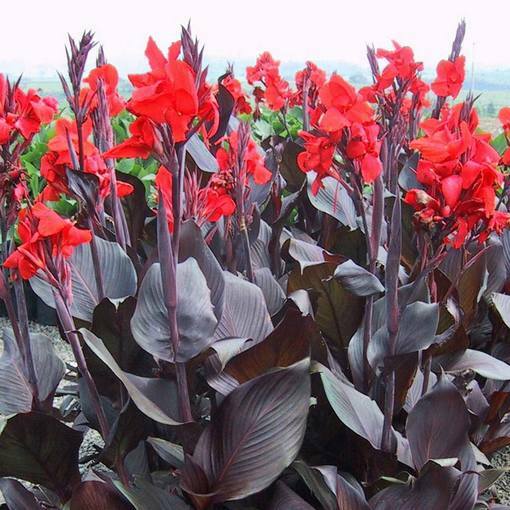 Canna Tropicanna Black is a vigorous growing Canna that will make a dramatic summer feature plant. 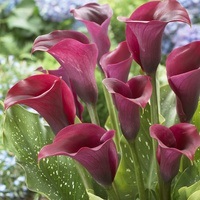 It will produce striking deep aubergine-black leaves and stems. 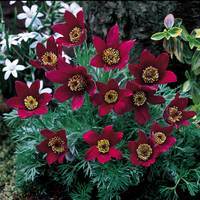 From July through to October, scarlet red flowers will cover the top of the stems that will fade to orange as they mature. 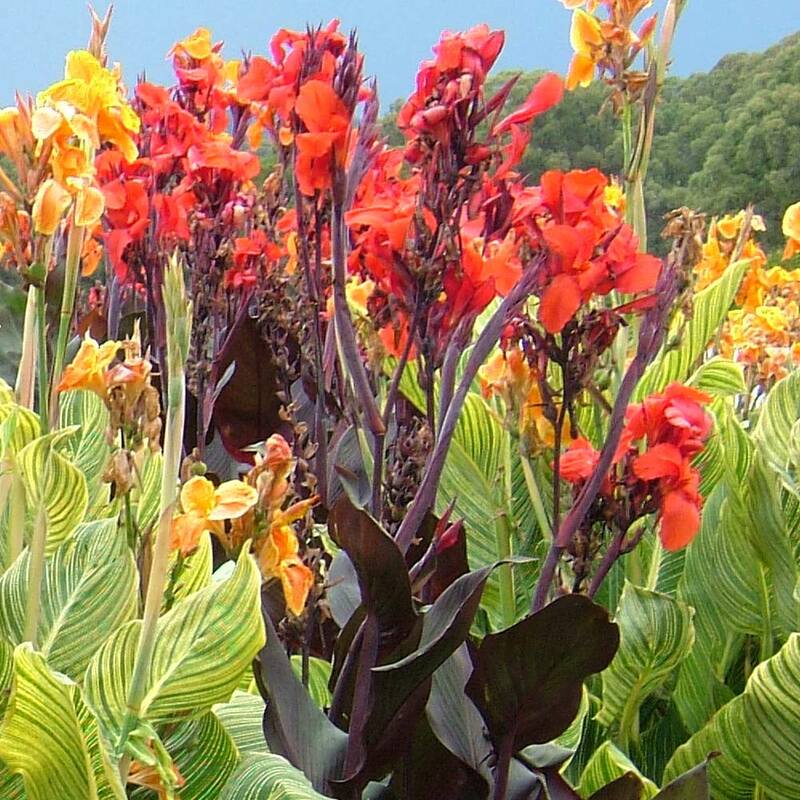 Reaching heights of 1.2m, this Canna is perfect for planting at the back of the border or alternatively in patio pots and containers. Top quality tubers supplied. 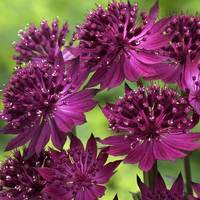 How Supplied Top grade Tubers supplied. Planting Plant at a depth of 7-10cm. Plant at a depth of 7-10cm. Canna tubers can be planted in April/May at a depth of between 7 and 10cm. 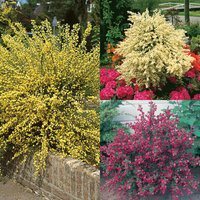 They are often best started in pots and then transplanted in borders or beds towards the end of may, requiring a sunny spot out of the wind. 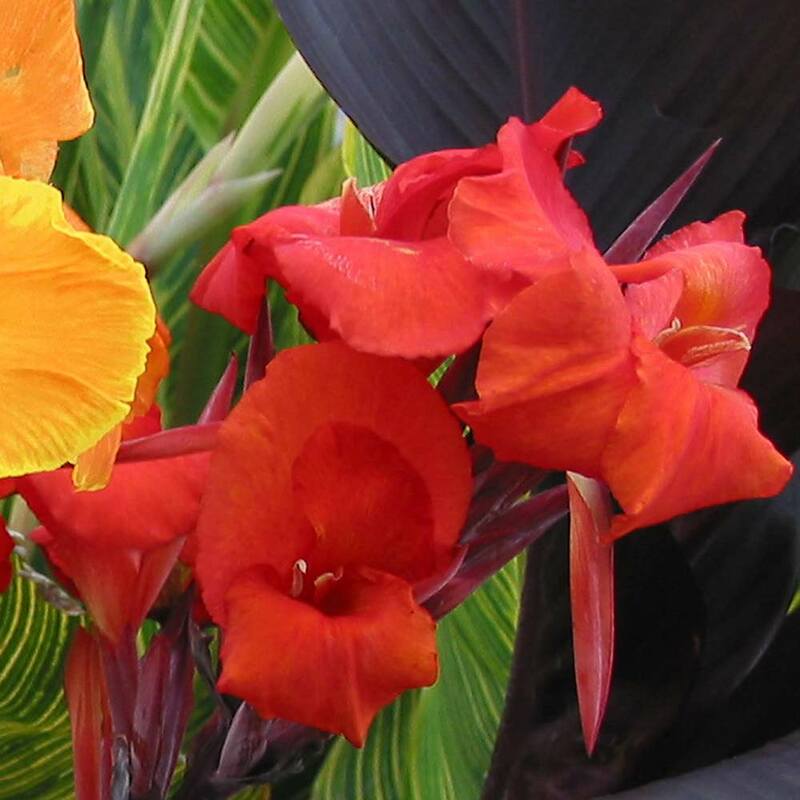 Cannas are renowned for their love of sunny areas and should be watered regularly during warm weather. They can be given a feed once a month and can be dead headed when necessary. The tubers should be lifted and stored indoors after the first autumn frost.